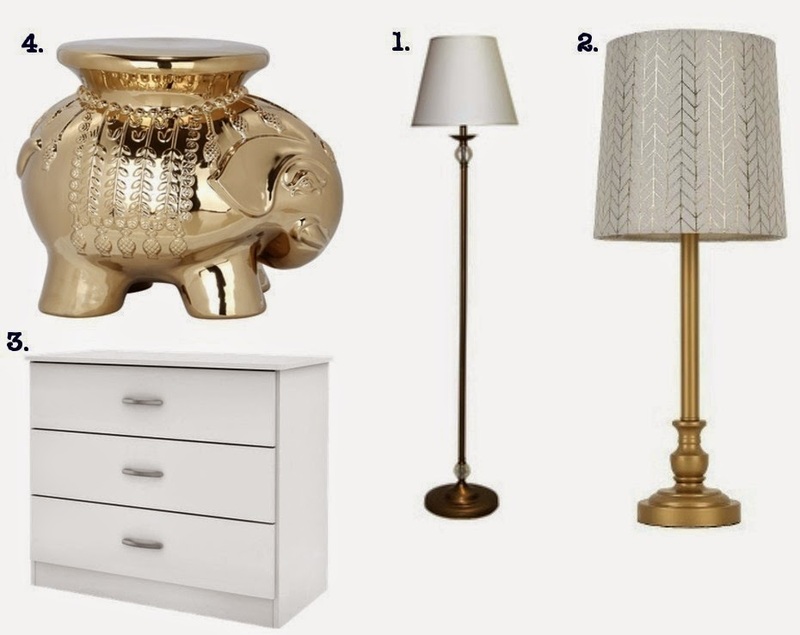 Fashion + Serendipity: Decor101 - White & Gold Bedroom Tips and Tricks! For my first "Post Unemployment" article, I would like to share with you that which has become my creative outlet over the past weeks aka room décor! As September 1st rolled around and the city of Boston moves I did to albeit just to I moved into a new room within my apartment. However it was the perfect time to trash and update the room's look albeit in an accessible way. (Let’s not forget I had no income for four months!) So, after tons of planning on decorist, I decided on a backdrop of white furniture & bedding accented by gold and peppered with colorful accents. Whilst far from done, I am happy to report the gold and white items that are currently on display (definitely thought of Melissa Gorga’s song as I typed that! Ha!). 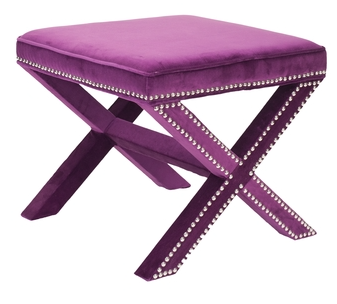 Before I go into the items I must emphasize that as you decorate your apartment, room or home one thing to keep in mind is you can always change an item with a little paint. Similar to clothing tailoring to your vision can bring an item up to a whole other level. With that in mind I set sail to find a dresser, lamps, a garden stool and paint to fix the items that did not exactly fit the bill but began to set the tone of my vision. West Elm Brown Narrow Leg Vanity & the CB2 formosa white tray table. 2. Painted West Elm brown vanity with Shabby white chalk paint (after cleaning dresser with household vinegar Windex) three coats as is and one coat leftover paint mixed with water. Finished with a coat of clear wax applied with cheese cloth and excess wiped off with paper towel. 3. Painted vanity hardware with one coat Rust-Oleam primer and one coat Rust-Oleam gold spray. 4. Painted CB2 tray table base with one coat Rust-Oleam primer and one coat Rust-Oleam gold spray. Now my room is far from finished as I need artwork and colorful throw pillows for my bed but it is well on the way to being that eclectic, clean and stylish haven I strive for! P.S. All items were purchased at the links provided in the via source above. Check out my redone vanity on instagram!